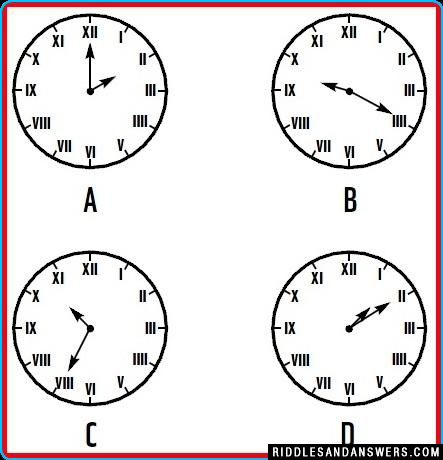 Which of the clock is odd one out ? VIII has taken place of VII. 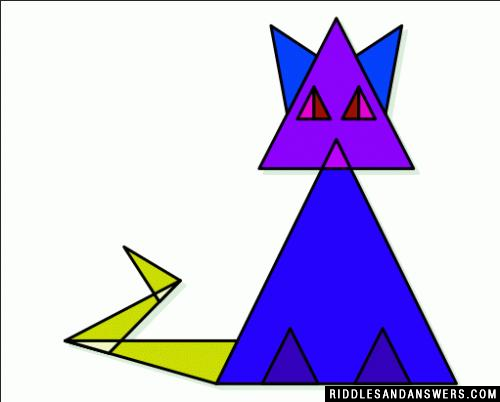 Find the number of triangles in the above image ? 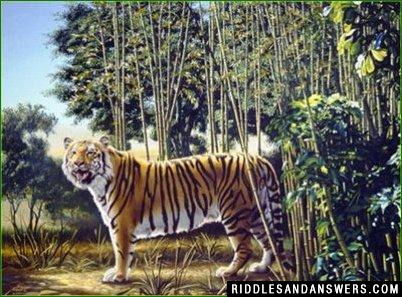 Can you calculate the number of squares that are there in the given picture ? 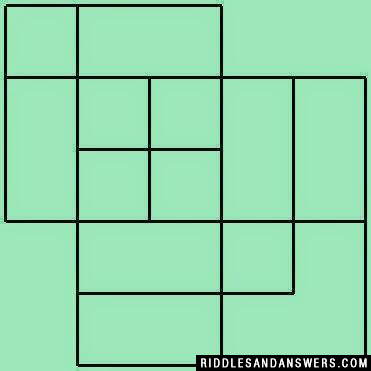 Let us say that the smallest of the square is of 1 unit side. We have 6 such squares. Now moving up, if we see the squares with side 2 units, we have 8 of them. 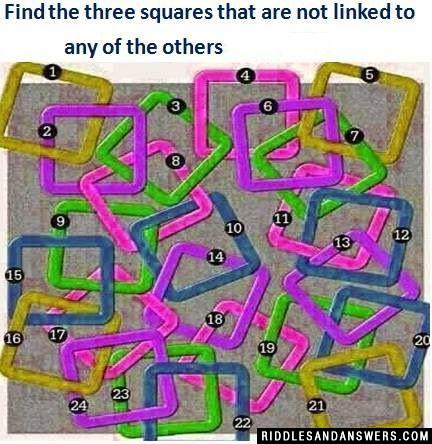 Similarly we have 2 squares with side 3 units and 1 square with side 4 units. 6 + 8 + 2 + 1 = 17 squares. Can you identify the number of circles present in the picture? You can see the center circle right? There are 16 more circles. Probably you missed them. Just concentrate on the center circle for a moment and you will find the other 16 circles. 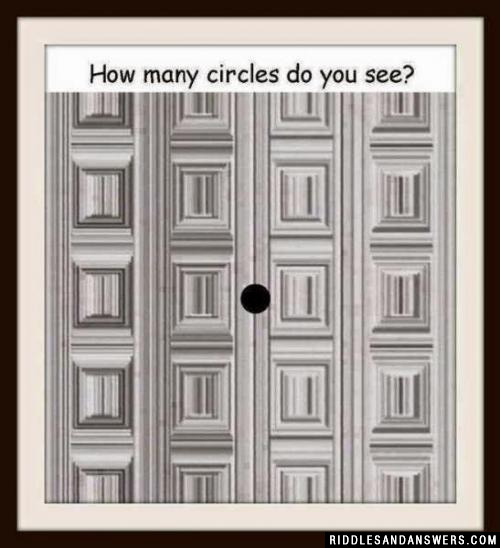 Thus there are a total of 17 circles in the given picture. 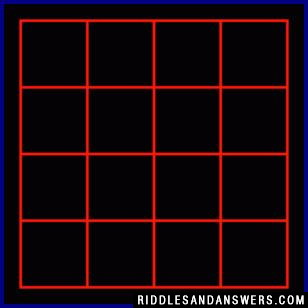 How many squares are in the figure above? 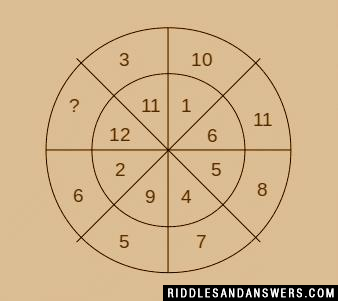 In the number wheel in the picture, you can find several digits except one question mark. Can you find the digit that should be placed in place of that question mark? The required digit is 0. If you add up all the digits in any diagonal, you will find the sum to be 25. 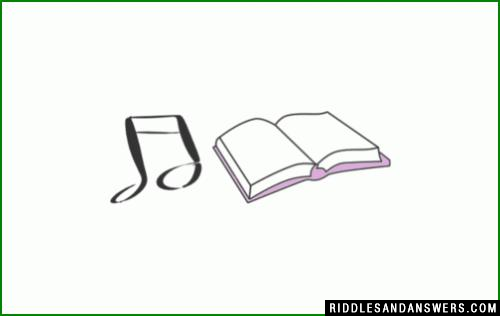 Can you come up with a cool, funny or clever Drawing Riddles of your own? Post it below (without the answer) to see if you can stump our users.